"Extraordinary! One man I can look up to and respect," "Incredibly, mind blowing and memorable," and "Incredibly inspiring, amazing human being, invaluable to hear him first hand" are among the words heard from participants after experiencing Patch Adams, the real man behind the hit movie "Patch Adams," starring the late Robin Williams. Patch is both a medical doctor and a clown, but he is also a social activist who has devoted 30 years to changing America's healthcare system, a system that he describes as expensive and elitist. He believes that laughter, joy and creativity are an integral part of the healing process and therefore, true health care must incorporate those aspects of life. Doctors and patients in his model relate to each other on the basis of mutual trust and patients receive plenty of time from their doctors. Allopathic doctors and practitioners of alternative medicine will work side by side in Patch's model. If you think that all sounds like a utopian impossibility, it isn't. Patch and his colleagues practiced medicine at the Gesundheit Institute together in West Virginia that way for 12 years in what Patch refers to as their "pilot project." In that time they saw 15,000 patients. From that experience onward Patch Adams has devoted his life to the study of what makes people happy. Through the success of this program at the West Virginia location, a model health care facility is being planned on 310 acres purchased in Pocahontas County, WV. The Institute will include a 40-bed hospital, a theater, arts and crafts shops, horticulture and vocational therapy. Over five years ago, Dr. Adams and staff temporarily stopped seeing patients so that they could coordinate plans for raising the $5 million needed for the Institute's permanent and expanded home, a model health care community. Currently planned is an immediate phase of this dream, a $400,000 facility on the land in West Virginia, so that their medical practice can resume within the next two years. Additionally, Dr. Adams adds to his training as a physician his experience as a street clown. In working with health care and mental health professionals, he explores the relationship between humor and therapy using his unique blend of knowledge, showmanship and "hands on" teaching techniques. Dr. Adams says, "I interpret my experience in life as being happy. I want, as a doctor, to say it does matter to your health to be happy. It may be the most important health factor in your life." 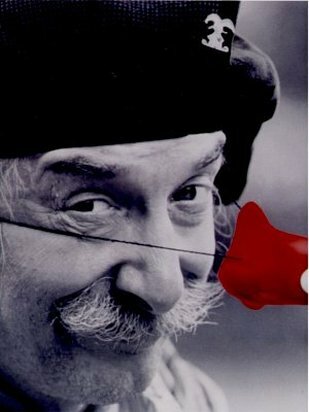 Patch Adams, MD is a nationally known speaker on wellness, laughter, and humor as well as on health care and health care systems. He approaches the issues of personal, community, and global health with "zestful exuberance," according to Time Magazine. Dr. Adams believes that "the most revolutionary act one can commit in our world is to be happy."